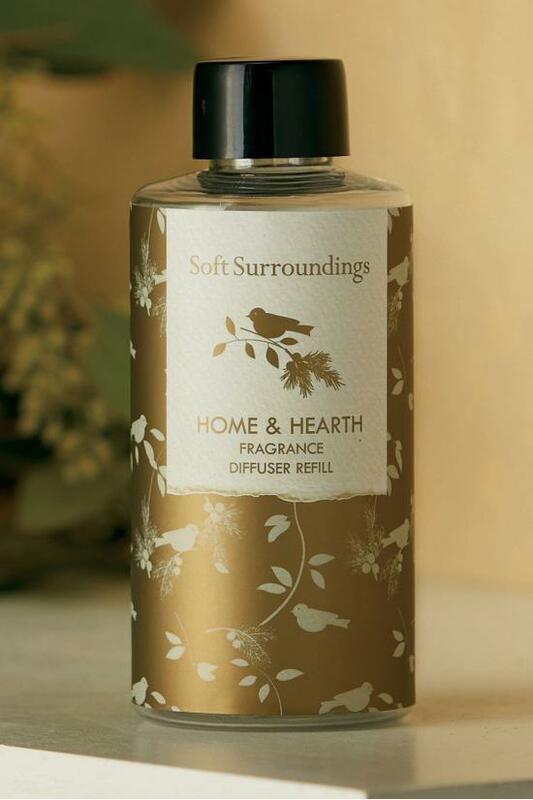 This lovely fragrance captures the warmth of home in a perfectly spiced scent, diffused in a gorgeous, gold mercury glass bottle, topped with a full-bloom poinsettia and a sweet little visitor. Notes of fresh pine sprigs and the zest of mandarin orange interplay with pomegranate bursts and hints of warm cinnamon cloves. Seasoned with the warmth of roasted chestnuts delicately drizzled with creamy vanilla, this scent conjures those cherished memories of holidays-past as you create new ones surrounded by your loves. Lasts up to 4 months. 5.07 fl. oz.